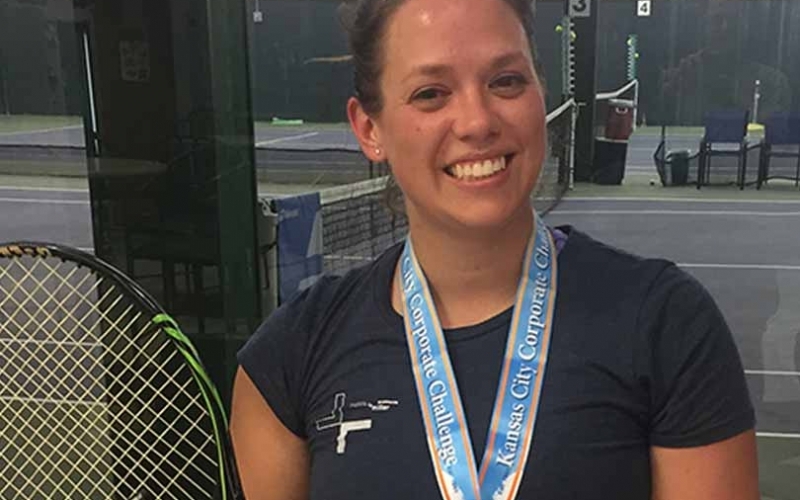 We’re a month into Corporate Challenge, and we’ve had some victories, near-victories, late nights and early mornings, but mostly, some great stories. 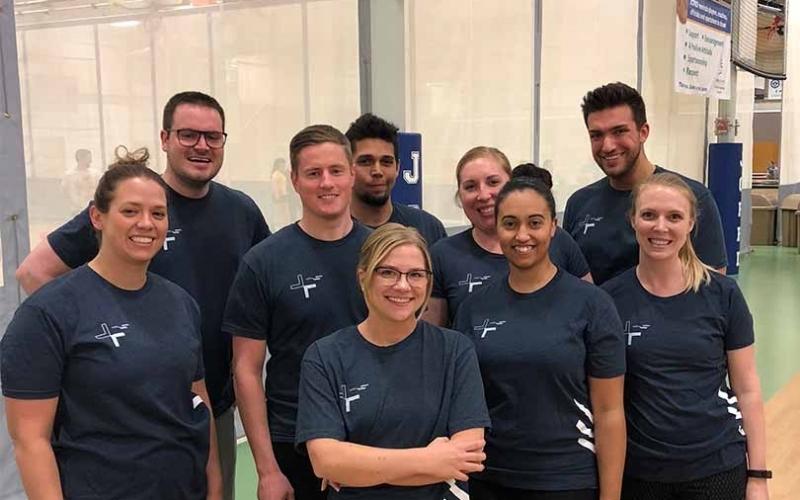 Hollis + Miller looks forward to Corporate Challenge each year because it’s a chance for our team to get out the office for some friendly competition with our Kansas City friends and neighbors, all in the name of giving back to the community. The Corporate Challenge kickoff is usually a great tailgate on a nice Spring day. This year was a different story. 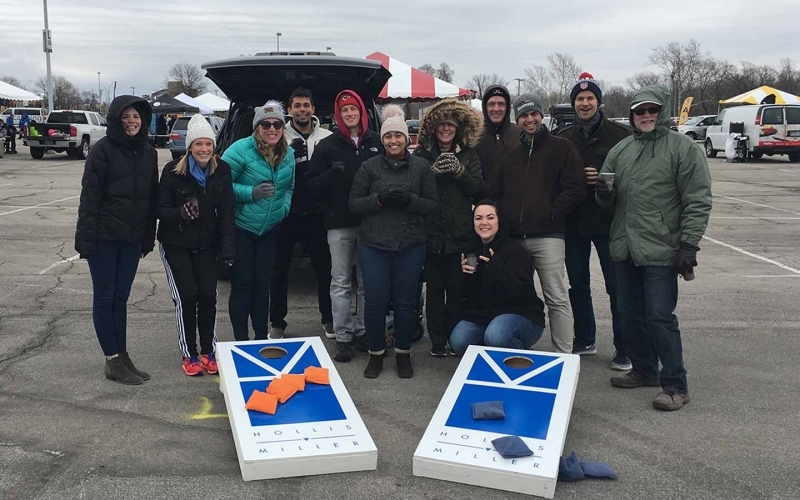 With temperatures in the 30s and wind chills even colder, 13 of the gutsiest Hollis + Miller team members braved the cold with hot chocolate and parkas, maxing out the number of points we could get. Way to get it done, guys! 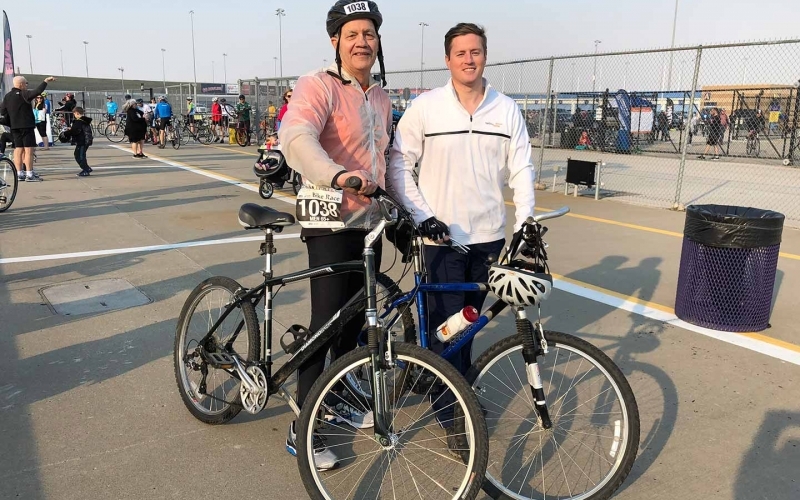 Architect Larry Jordan rode into 3rd place in his age bracket at the bike race. 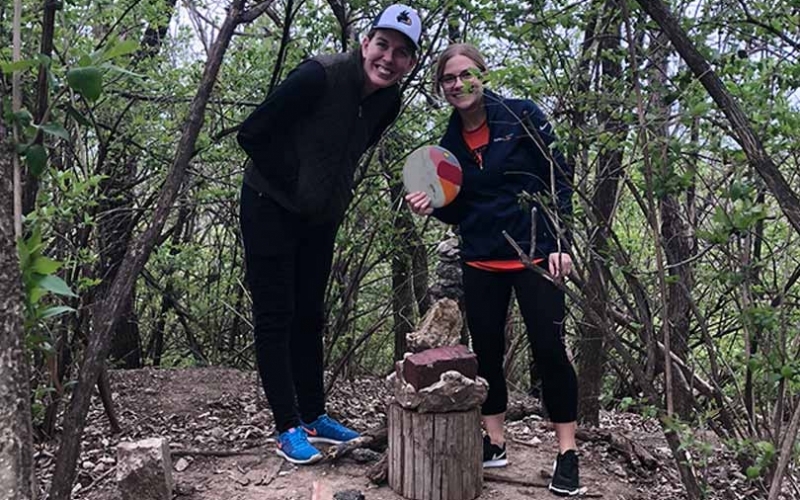 We’ve got some disc golf pros in our interiors team, with Stephanie Keeton and Juliane Lewis taking 3rd place in the women’s competition. 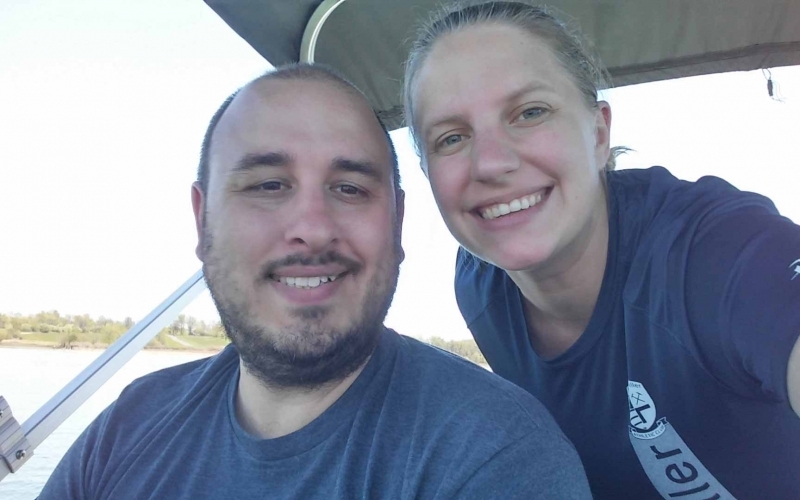 Husband-and-wife, engineer-and-architect duo Joshua and Lana Thorpe caught themselves 3rd place in the fishing competition on Smithville Lake. We hope their kids like fish for dinner. Architect Meg Warner played tennis so late that they shut the lights off on the court before the game was over. It paid off with Meg finishing 3rd in the women’s competition. Our team fought hard, initially tying for second to advance to finals. To tie, we won the same number of rounds, got the same total number of people out and tied when we played the opposing team. 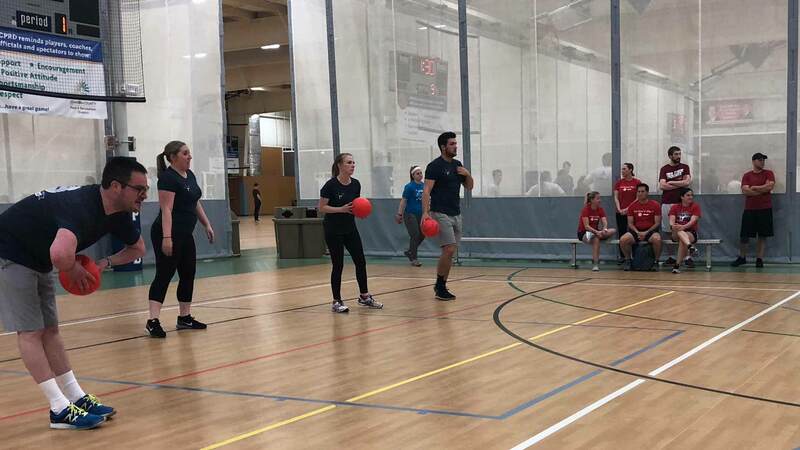 The close race ended in a sudden death round, a rarity in KCCC dodgeball. 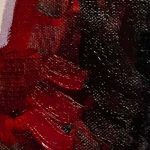 While we may have lost sudden death, we didn’t mind. We had too much fun sharing the story with our H+M family at Friday Breakfast the next morning.